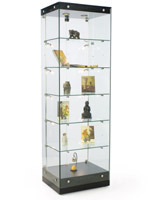 This LED showcase display case is a great choice for use in high traffic public locations. 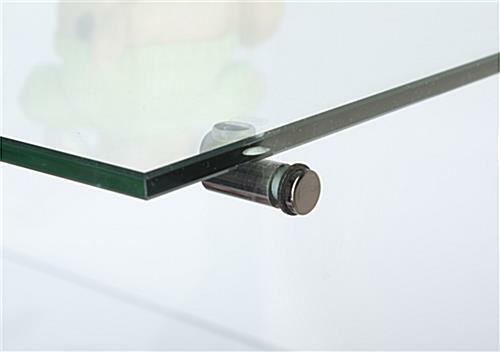 Each 6-foot frameless tower is made of shatter and impact resistant tempered glass. 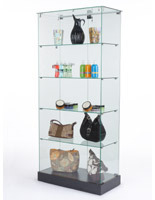 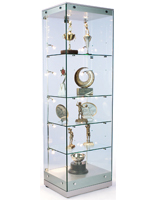 This tower showcase display case with energy-efficient side lights is 24" wide and 19" deep, with 5 adjustable height shelves that accommocate a wide range of jewelry, sale merchandise, or collectible items. 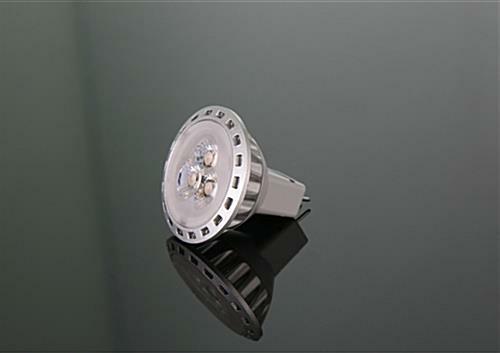 This illuminated fixture comes with 10 side-mounted energy-efficient bulbs for low-cost, high visibility interior lighting. 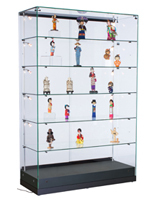 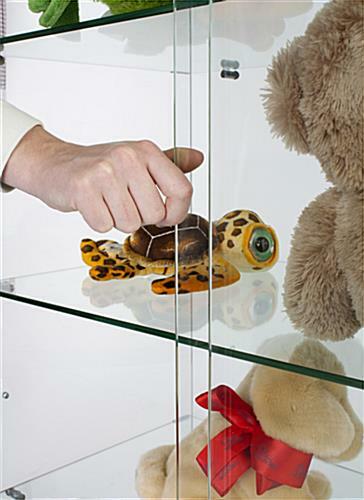 This frameless narrow jerelry & collectible display case with adjustable shelving is ideal for use in retail and commercial environments, as the swing-open access door comes with a sturdy plunger lock for security. 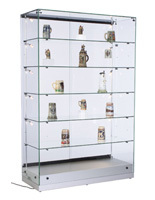 Each freestanding glass tower with side lighting ships assembled and ready to use. 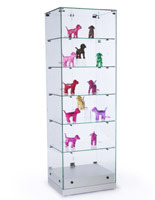 24.0" x 73.5" x 19.0"